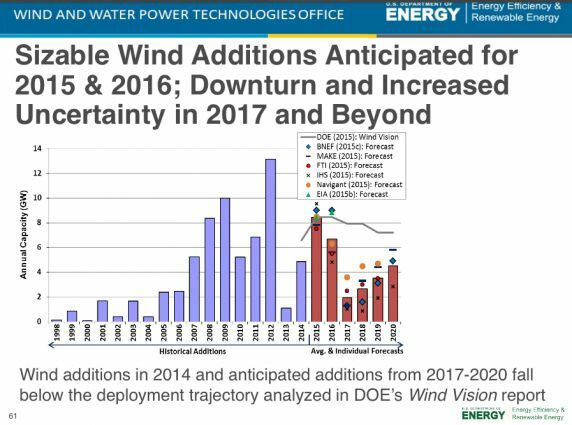 The just-released Department of Energy Lawrence Berkeley National Laboratory's 2014 Wind Technologies Market Report sees the wind industry facing some policy and supply chain challenges -- but the trajectories of capacity growth, blade-size growth and falling prices for wind continue. (Here's a link to the slide deck summary in PDF.) We spoke with authors Ryan Wiser and Mark Bolinger on Monday. 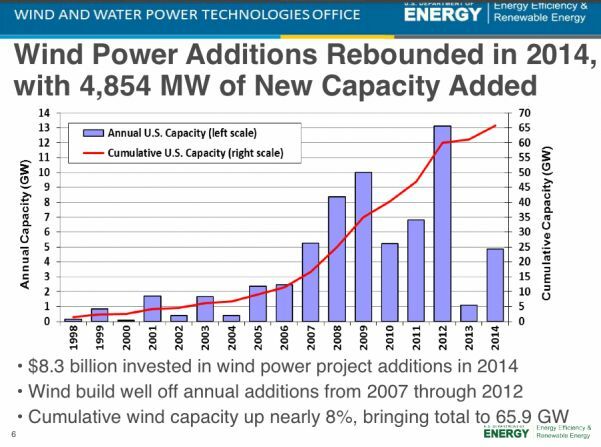 Annual wind capacity additions rebounded in 2014 with 4,854 megawatts of new capacity -- and evidence of a strong 2015 and 2016 to come. 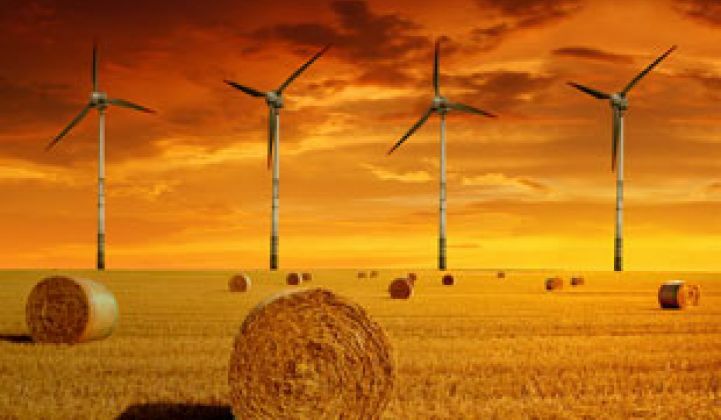 For most of its history, the U.S. wind market has been subject to the off-and-on wind Production Tax Credit. 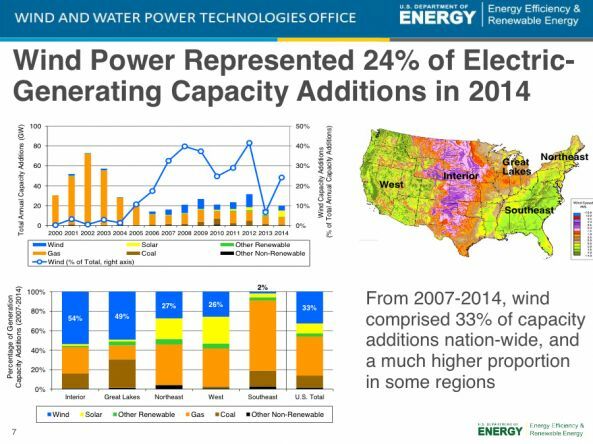 As goes the PTC, so goes the wind market -- although that might be changing. Co-author Bolinger noted that the number of states where wind accounts for a significant amount of in-state generation has changed drastically from just 10 years ago, reporting, "Wind power currently contributes almost 5 percent of the nation's electricity supply, more than 12 percent of total electricity generation in nine states, and more than 20 percent in three of those states." Texas led installations in 2014 and "has more than twice as much wind capacity as any other state." 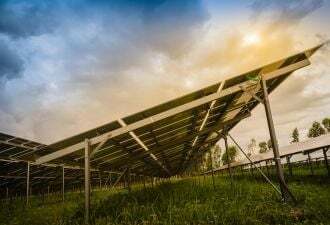 At the end of 2014, 16 states had more than 1 gigawatt of capacity and 10 states had more than 2 gigawatts of capacity, according to the report. 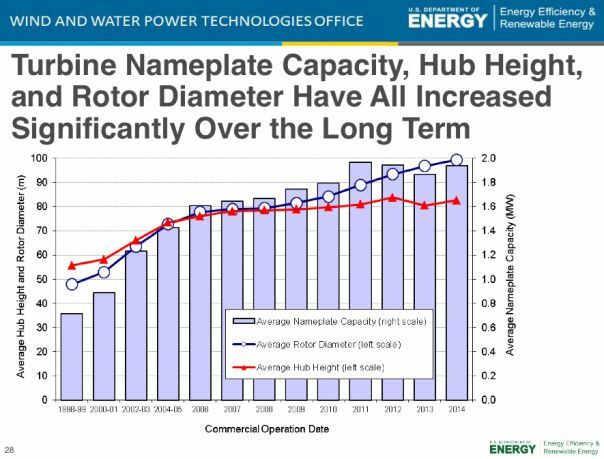 Large rotor machines are being used at both low- and high-speed sites, and it's been one of the more "significant and swift" changes in the market according to Bolinger, who added, "Several years ago, no turbines were more than 100 meters in diameter -- now 80 percent are." The report suggests that turbine scaling is boosting wind project performance, while project costs drop. According to the LBNL report, "Since 1998-99, the average capacity of wind turbines installed in the United States has increased by 172 percent, the average turbine hub height has increased by 48 percent, and the average rotor diameter has increased by 108 percent." GE, Siemens and Vestas supplied 98 market of the U.S. market in 2014. 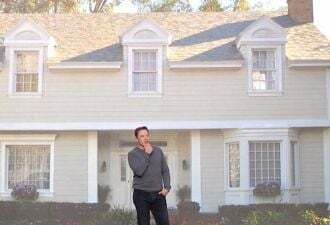 How does $.0235 per kilowatt-hour sound? The LBNL report calculates that wind projects built in 2014 had an average installed cost of $1,710 per kilowatt, down almost $600 per kilowatt from the peak in 2009. The report suggests that wind is economically competitive despite low natural gas prices: "The average levelized long-term price from a sample of wind power sales agreements signed in 2014 (and admittedly concentrated in the lowest-priced central region of the country) fell to just 2.35¢/kWh. These prices are below the bottom of the range of nationwide wholesale power prices, and compare very favorably to a range of projections of the fuel costs of gas-fired generation." Strength in 2015 and 2016, but what happens in 2017? Although technically it has expired, the PTC still has some life left in it, due to the “under construction” language that allows projects that began being built by the end of 2014 to still qualify for the PTC if on-line before the end of 2016. Growth after 2016 remains uncertain, however, and will be driven by PTC policy shifts and natural gas prices. As for what happens after the PTC, Bolinger suggests that "the PTC actually has an impact on how these projects are financed." The structure favors tax equity funding, "one of the most expensive sources of capital." As the PTC fades, different and cheaper sources of capital will be available to wind project developers, according to Bolinger. "That shift to lower-cost capital will partially mitigate the loss of the PTC." 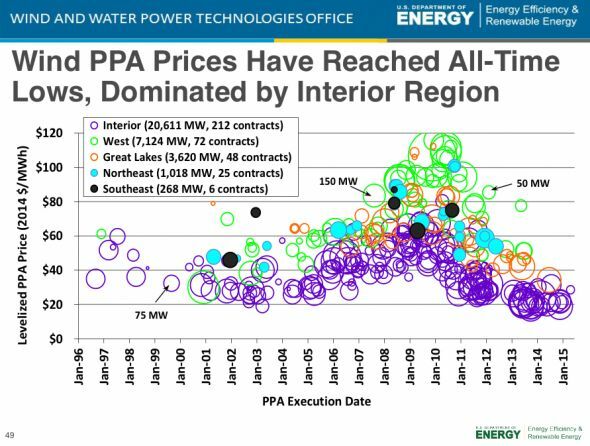 He added, "We would expect to see PPA prices rise by 16 to 18 dollars per megawatt-hour without the PTC," adding that it might still be possible to be competitive with gas without the PTC in the interior wind regions of the U.S. 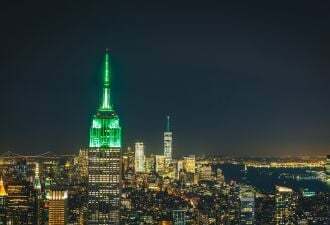 But in the Northeast or Western U.S., where the wind speeds are not quite as high and it’s more expensive to build, the PTC is still what can make or break a project. More details on the report's findings are available here and here.